Danke mein lieber Freund und alles Gute für dich! Die Wochenenden sind wundervoll und ich hoffe, Sie haben einen wunderbaren! So very kind of you to leave such a lovely message here Kamila. All the best to you! It’s the same problem with every animal………..the more of us,the less of them. Yes, there are too many of us and too few of them! yep……..we “could” solve every single problem in the world…..except population! China tried it & failed.We are already having resource problems at 8 billion.Imagine the at 10 or 15! 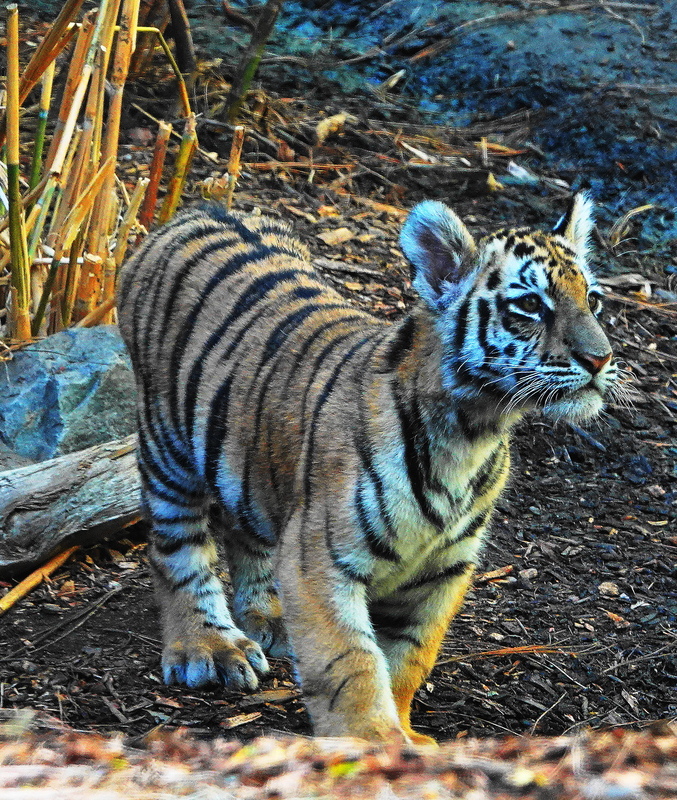 Another post that I missed when I was away but so pleased I have discovered a combination of Cindy Knoke’s wonderful photography and the wonder of two tiger cubs who have been brought together at a brand new massive enclosure at San Diego Safari Park… do yourselves a favour and head over to enjoy the photographs and the video. You can’t see the glass at all they’re amazing, the one looking over his bone at you it just brilliant. They are such great photos Cindy. You are a real artist! 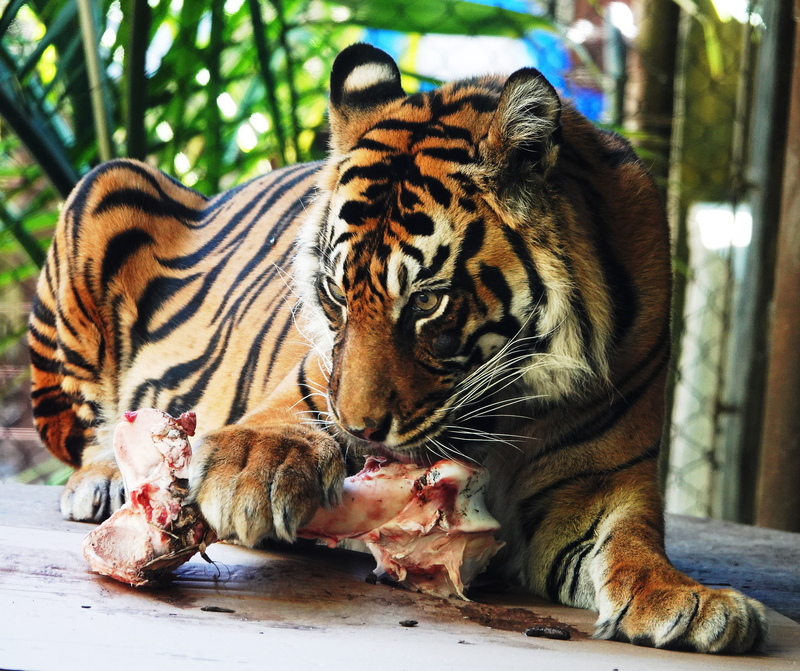 Love the tiger eating the great big bone! So kind of you. 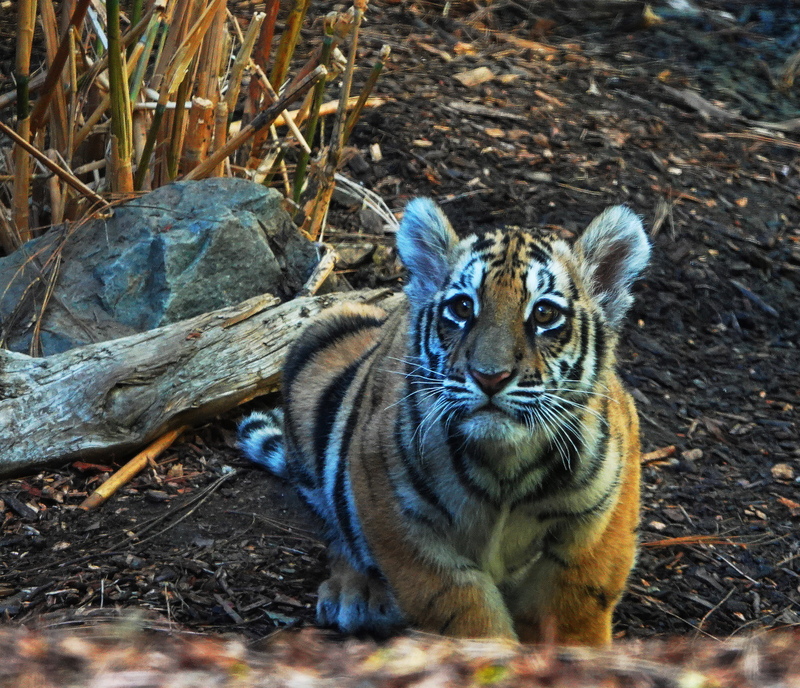 He definitely stared at me with full bore tiger eyes! 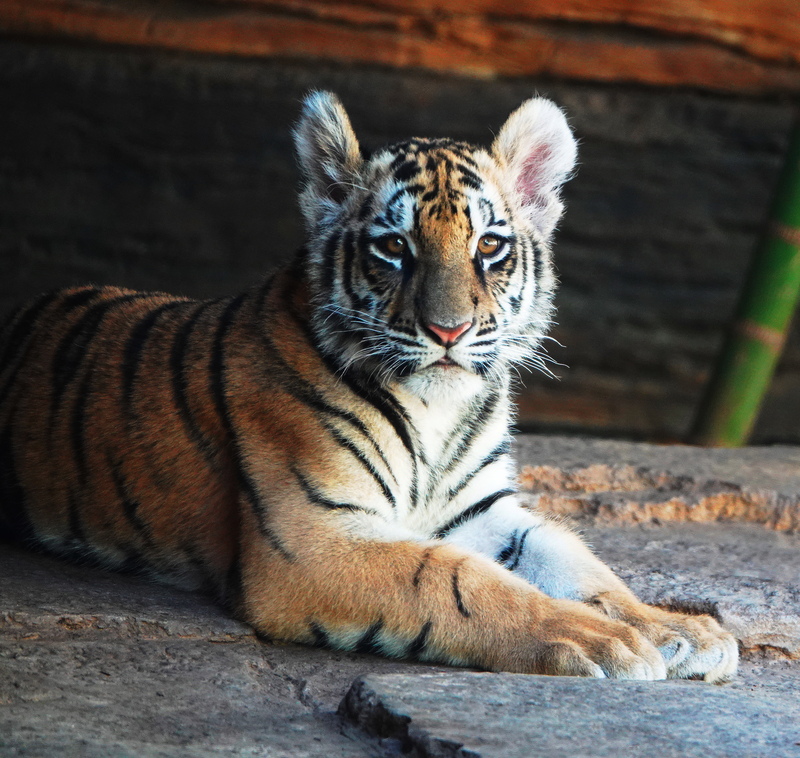 Amazing photos of these beautiful animals! Sweet Cindy, so many things have been going ( Life ) we know that word, will write a little more latter so sorry have been here.. They are beautiful animals. Are they ravenous or tame? Probably both, since I doubt a tiger can ever be really tamed. The 🐯🐯 think you have excellent taste! 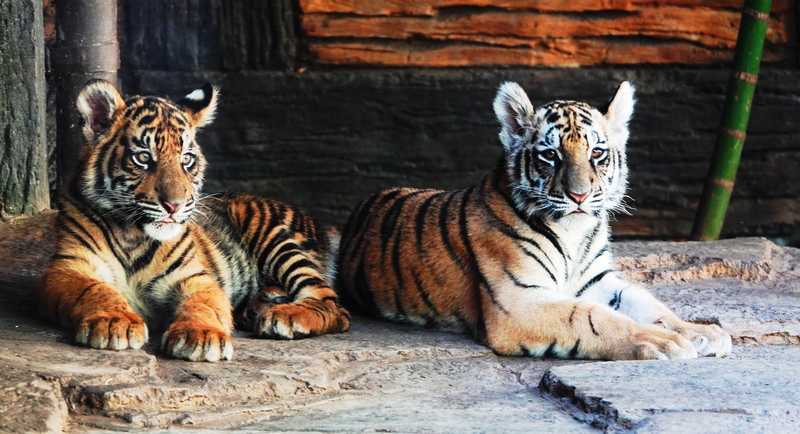 These tigers are posing for you I swear they are. 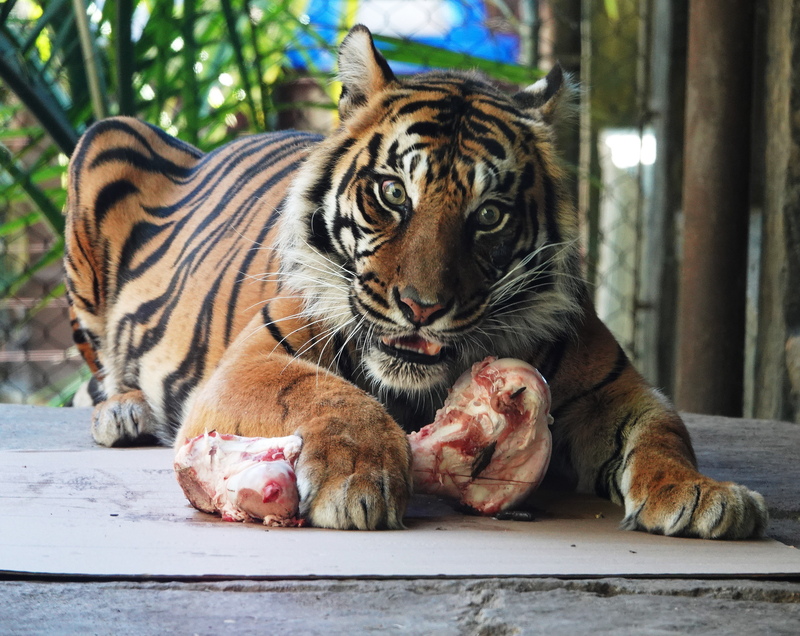 What fabulous photos and that one of the tiger protecting his bone! Incredible. I know you love the feline species like I do. 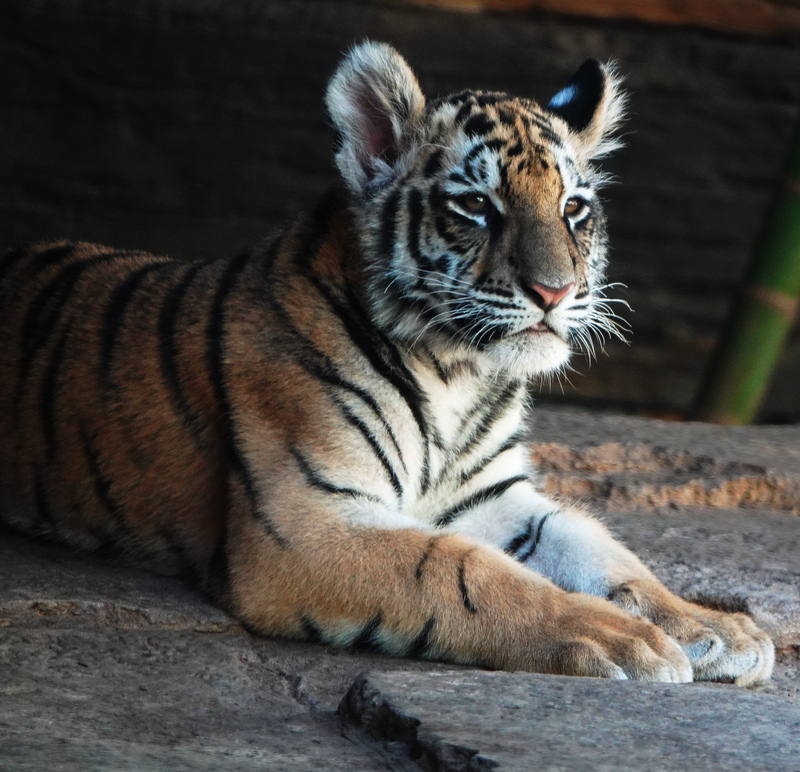 The ultimate feline species, tigers, are just beyond amazing aren’t they. And it seems right to me, that they are deadly, but sad to me, that they are not deadly enough to save themselves from us. I share all of your concerns, and relate to your point about the destructiveness of the human species. Some people seem to be planning to go live on Mars once we have completely destroyed this planet. It doesn’t seem an equal substitute to me, and I wish we would put much more money, energy and attention into saving this planet (our only viable home) and all the creatures that live on it. Thank you my friend & be well! I missed this post, dear Cindy! Awww, they are so adorable and look cuddly. When I worked at Cedar Point amusement park, they had baby white lions in the animal nursery. This was an area where a fine, gentle animal trainer named Jungle Larry taught the animals tricks. As far as I know, he never got bitten. I was lucky enough to hold baby lion cubs a few times. They were soft and silky, fluffy and had plump bellies. They were hand fed baby bottles. I think only once did I get to feed a baby white lion cub in the two full summers I worked there. 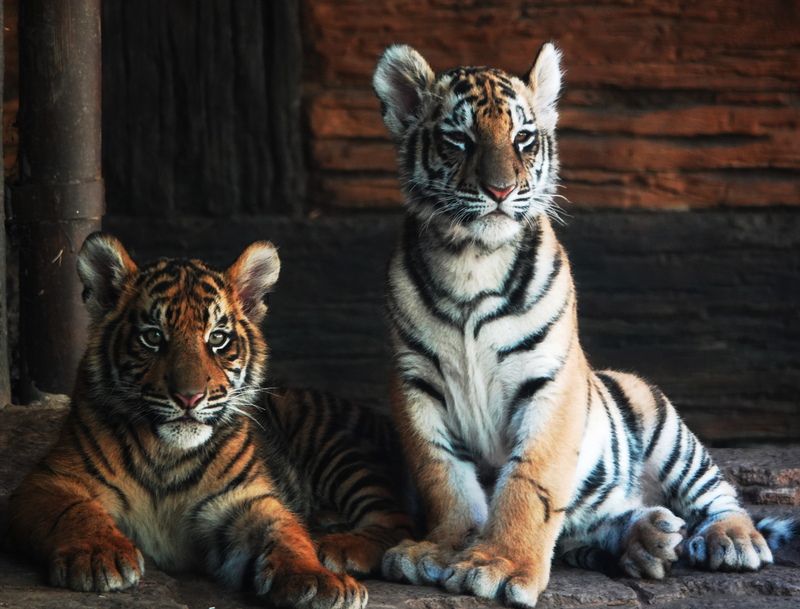 The tigers are so pretty. You did an amazing job with the photos.